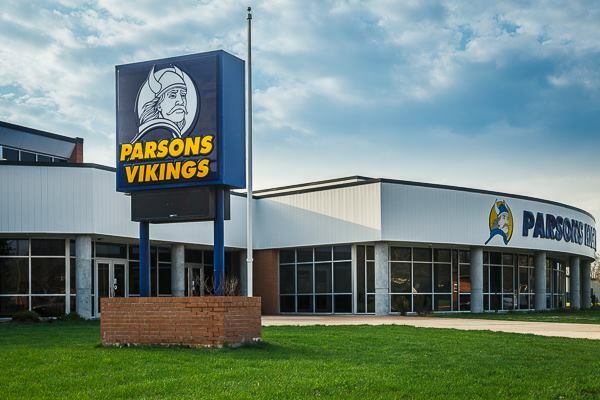 The Parsons Vikings have impressed many throughout the 2018 season, as they finished at 6 and 2 on the year. A tough finishing month saw a very difficult stretch of teams for the Vikings, as they were just beat by Galena High School at home 52 to 14 this past week. Head coach of the Vikings Kurt Friess says the Bulldogs of Galena were a physical team that just overpowered his guys upfront. He says the tough stretch of physical opponents has prepared his team well for the next test as they battle an equally big, and physical team in the Girard Trojans. Trojans finished 5 and 3 on the year, and will travel into Parsons to play the Vikings this Friday night. Friess says his guys aren’t the biggest, but they are fast, and very physical as they plan to defend against the run game as their main priority. Hoping to win the battle upfront and force Girard into long down situations. Friess also mentioned that this tough stretch of games in the final month has taken its toll on the starting roster as many players are questionable or are injured for the upcoming week. A definite concern, but he is overly happy in the way the younger have stepped up into those roles for the injured players and expects his guys to play the way they have all year and move on through the first round. With the win, Parsons would either play Prairie View or the Caney Valley Bullpups. Kickoff is at 7 PM this Friday night from Parsons KS.